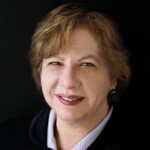 L. & J.G. 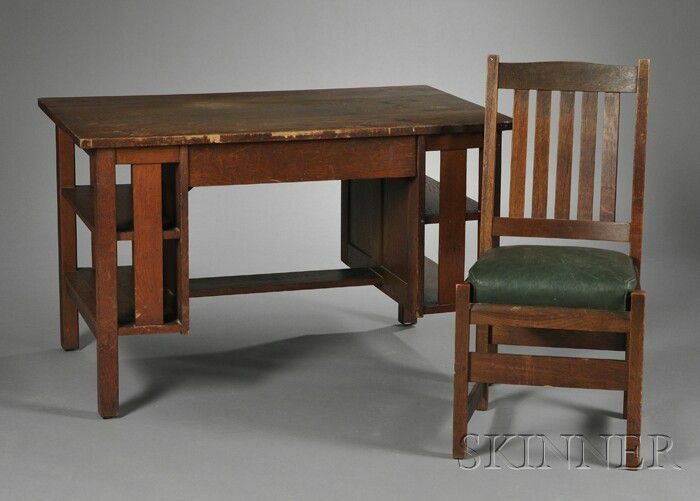 Stickley Arts & Crafts Oak Desk and Chair, rectangular-top desk with center drawer, sides with open bookshelves, accompanied by a tall back chair with green leather cushion seat, desk marked with white decal "The Work of L. & J.G. 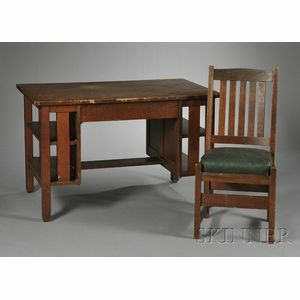 Stickley," (nicks, wear and stains), respective ht. 30 1/4, 38, wd. 48, dp. 30 in.